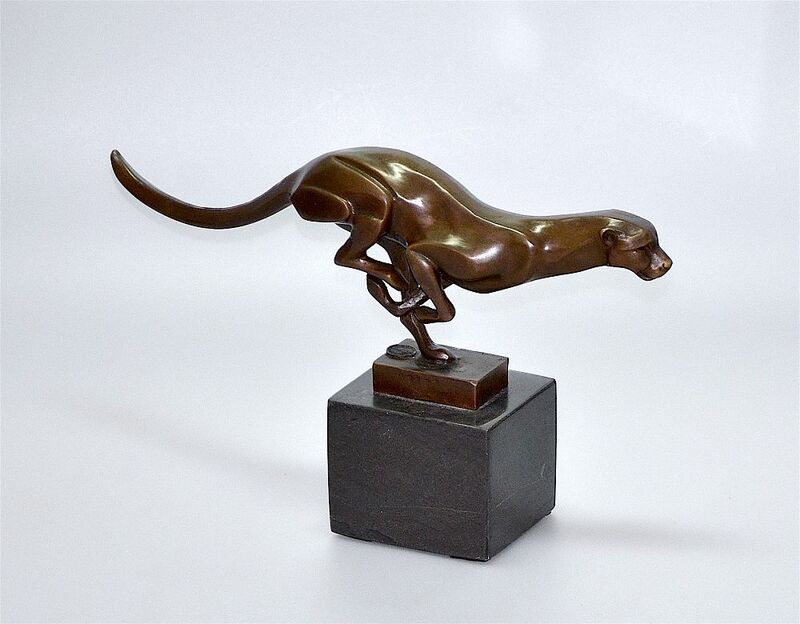 Done very much in an Art Deco style this contemporary bronze from the Fonderie Bords de Seine depicts a running bronze panther on a polished black marble base. The bronze has the "Fonderie Bords de Seine" medallion and is stamped "A 6207". Although the bronze is not signed I believe it is by the Portuguese artist Milo (Miguel Fernando Lopez) who was born in Lisbon Portugal in 1955. Carlton Ware cream lustreware gilded jug with orange enamel "jewels"